The Santa Cruz Shredder actually does leave me with fluffier and more evenly burning weed. Over time the very act of grinding weed wears out my herb grinders. Add to that the fact that I use them in the process of smoking dope and you'll understand why I tend to go through one or two a year. 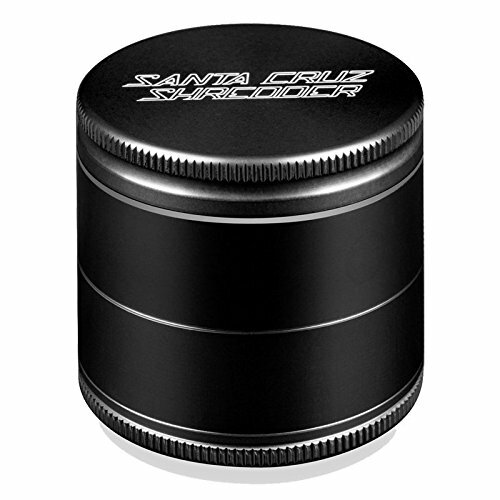 As I was recently replacing my Sativa grinder, which gets the most use, the weed wizard at my local shop introduced me to the Santa Cruz Shredder. The squared off teeth and bottom affixed central post in the Santa Cruz Shredder leave your processed marijuana product fluffier and less 'ground down' -- this may be the shape of the teeth, or the slightly larger pass-thru holes for shredded stuff. Regardless, I find that bowls draw with more ease and the weed seems to burn more evenly in my Twisty Glass Blunt. This isn't a run out and get one right now kind of improvement, but I'll be buying this style grinder going forward. If you need a new one, give it a try!